Web Security is not just about passwords. Multiple layers of security are necessary to keep websites and visitors safe from hackers, malware, and corrupted data. 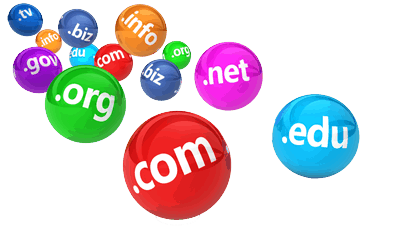 Silver Knight Domains has several tools to keep websites safe. They have their own unique importance in your overall website security. Each type of web security addresses different aspects about website security. These include SSL Certificates, Malware Scanners, and Website Backup. They are all are necessary tools to keep a website protected. SSL Certificates encrypts any data a website visitors enters into a web page and submits. Any data that is returned from a website to the website visitor, that data is also encrypted. Hackers can be watching and capturing data that is traveling throughout the internet. Buy the best SSL Certificate to keep data that is transmitted to and from your website encrypted and safe. Most times when hackers get access to a website, you will never know it. They will just add their coded files to mix in with the website’s files. The longer they can go undetected the more data they can gather about the traffic to your website and data about your website visitors. The Website Malware Scanners scans a website everyday looking for these malicious files that are trying to go undetected. If malware is found after a website security scan, a notification email is sent out allowing the website owner to request the website to be cleaned. The Express and Deluxe Website Security plans offer an additional levels of protection by putting the website behind a Firewall to block even more unwanted intrusions and would-be hackers from exploiting vulnerabilities in a website. Always have a copy of the website. Whenever someone wants to go back to a previous version of their website, it’s typically when they do not have a backup plan in place. Silver Knight’s Website Backup has daily automatic backups that are stored in the cloud for up to 30 days. Feel safe knowing that you can easily restore a past version of the website with just one-click.